Bringing science directly to you in the W.O.W. van!! 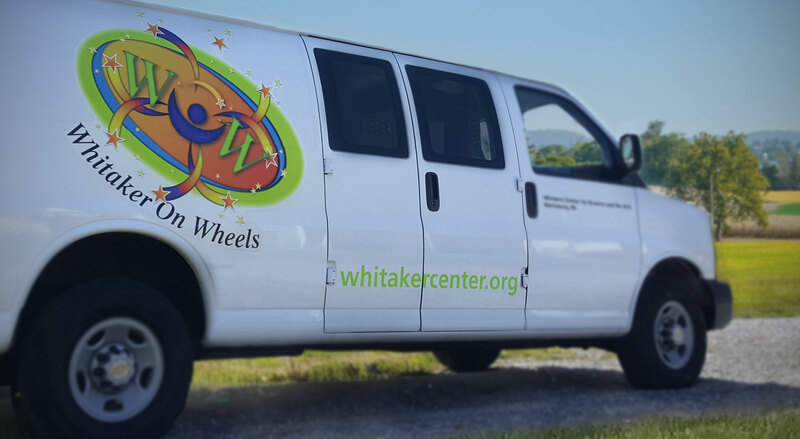 Our Whitaker On Wheels program, commonly referred to as W.O.W., offers preschools, daycare centers, and elementary schools the opportunity to bring interactive STEM (Science, Technology, Engineering and Math) stations directly to the children they look after and teach. * The infant to age 2 (30-minute) program must be booked in conjunction with one of the 3+ (60-minute) programs. It is not offered separately. To schedule W.O.W. programming for your preschool or daycare center, please complete the W.O.W Reservation Form below!